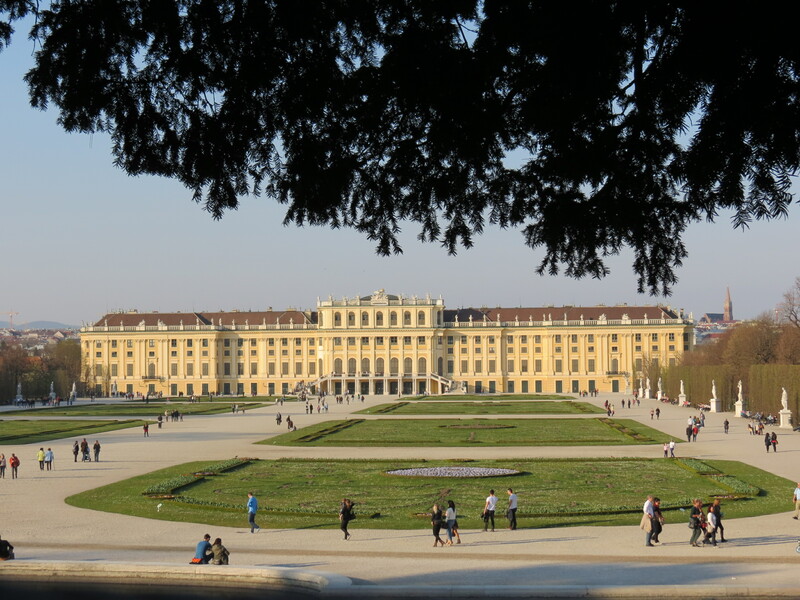 Located in the outskirts of Vienna’s city centre is the grand Schönbrunn Palace, which used to be the summer home of the Hapsburgs. 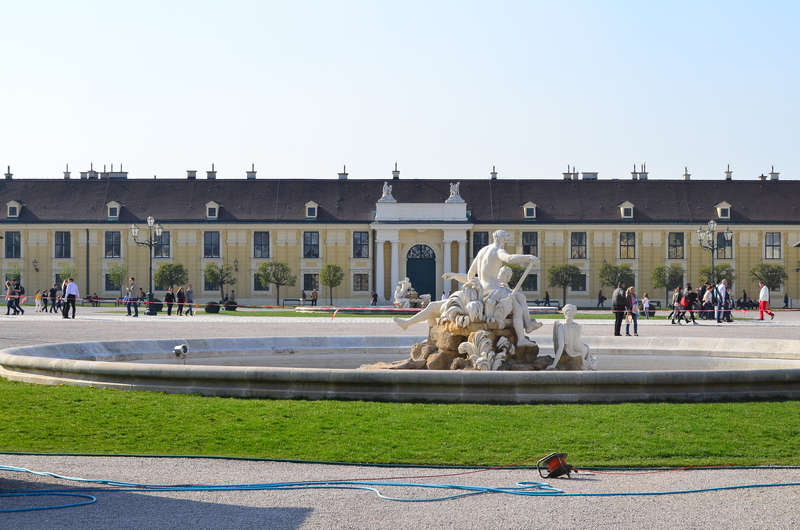 Prior to roaming the sprawling gardens of the palace, we took the Imperial Tour, which gave us access to twenty-two rooms. 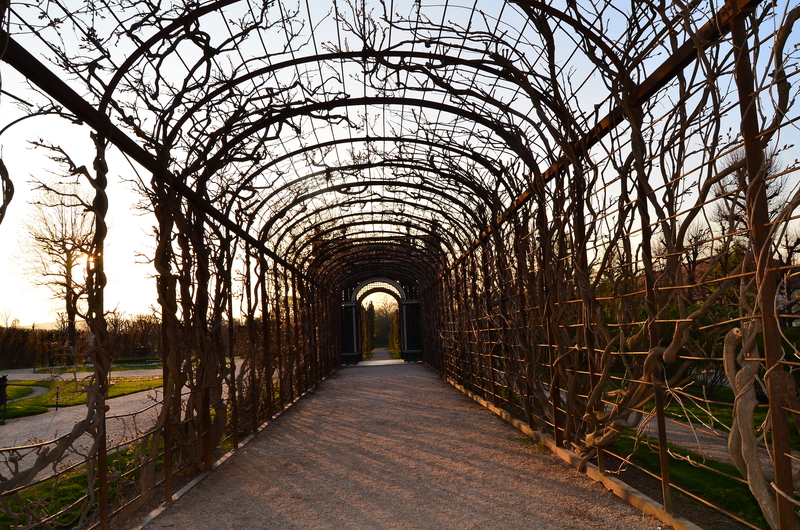 Unfortunately, taking photos inside was not allowed, but what fascinated me the most was the spectacular Great Hall. 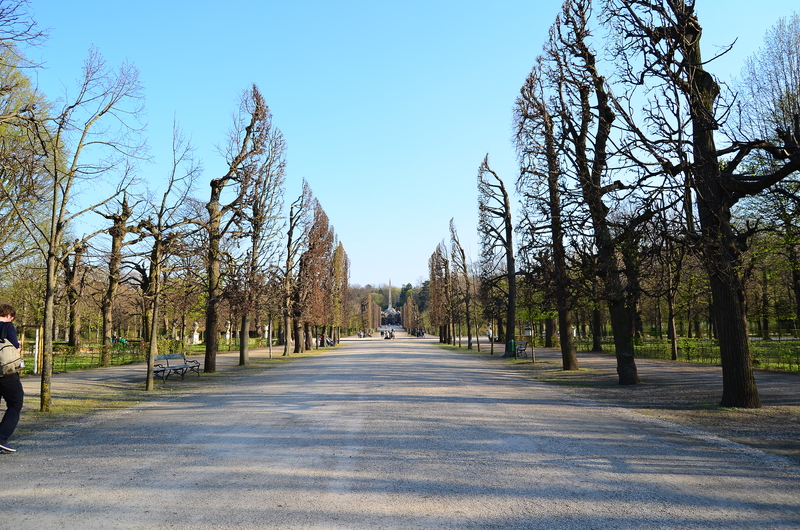 After the tour, we headed towards the palace gardens and it suddenly felt like we were in a painting. 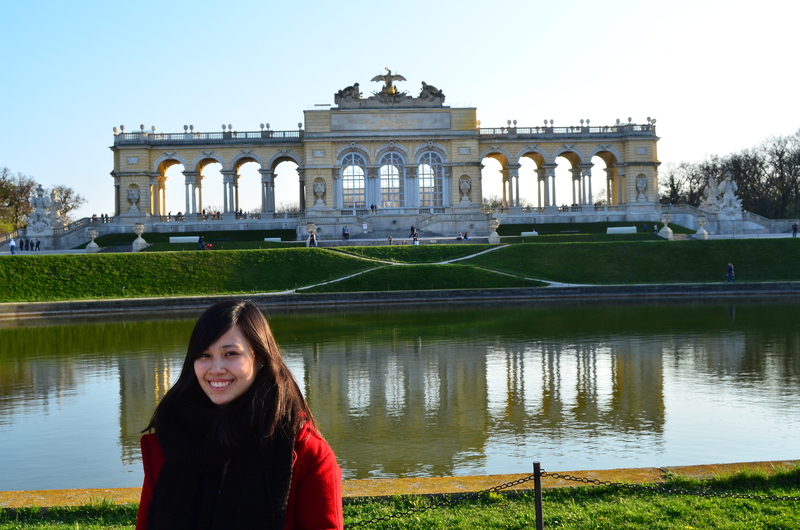 The view of the Gloriette from the Palace was spectacular and made me fall in love with Vienna even more. 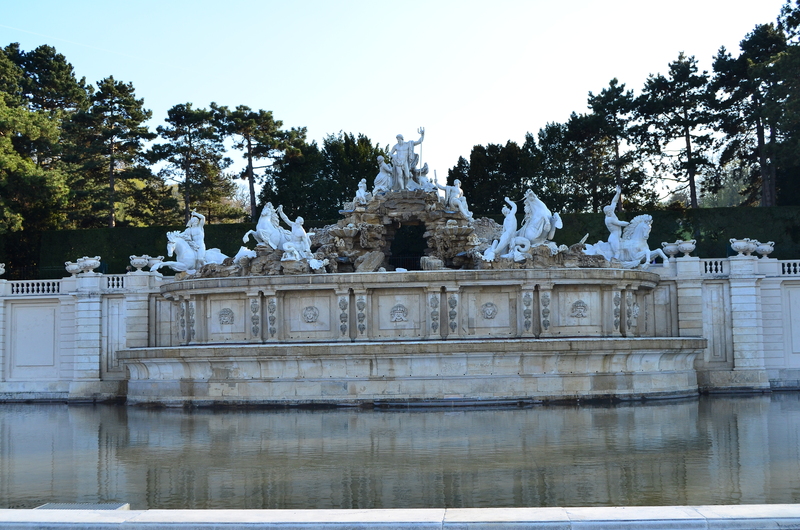 At the bottom of the hill where the Gloriette stands, is the magnificent Neptune Fountain, where you could get a fantastic view of the perfectly-built palace. 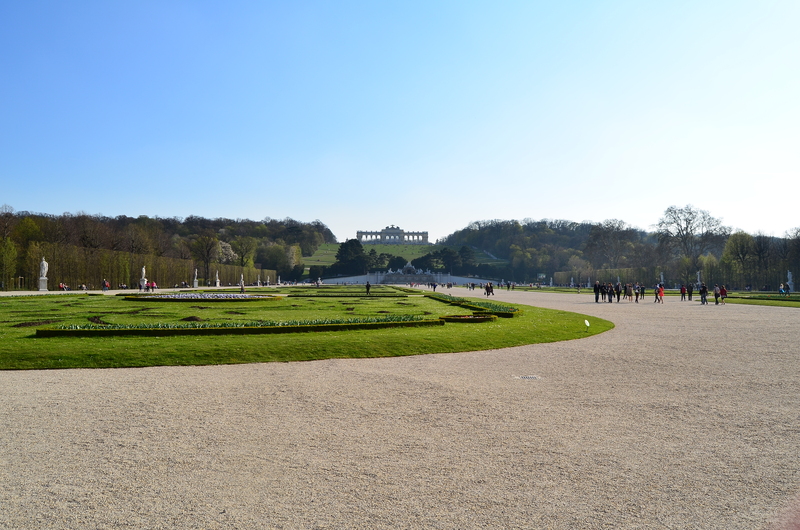 Before heading up to the Gloriette, we lounged by the gardens, enjoy the beautiful scenery we were surrounded by. 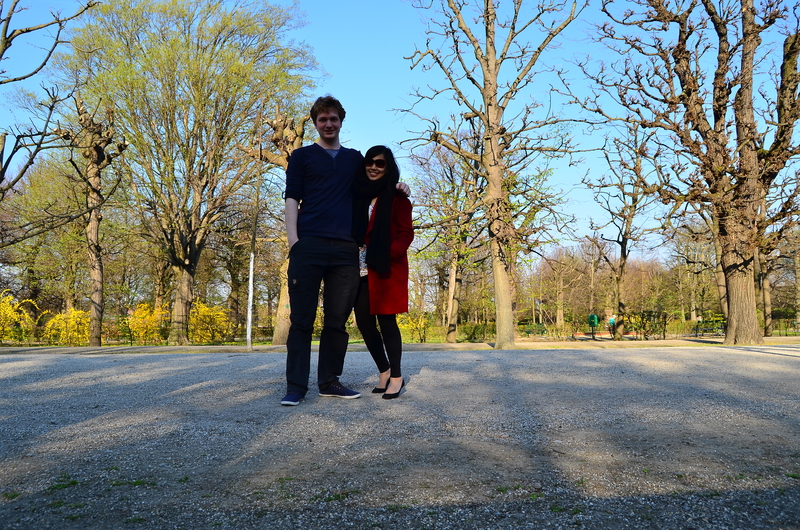 Though we had limited time, we couldn’t bare to lose the opportunity to see the city from the hill. 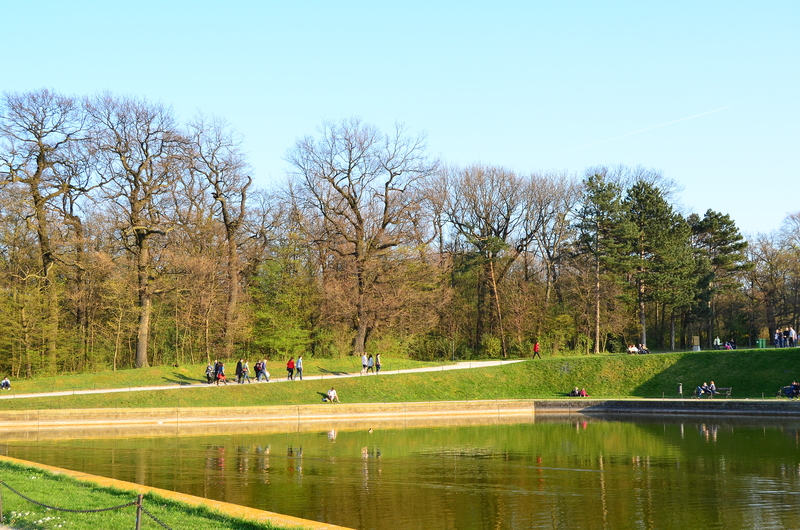 What at first seemed to be a short ten-minute walk cost us double the time, since the route zigzagged and we could not help but take some time every few steps to marvel at the scenery on our way up. 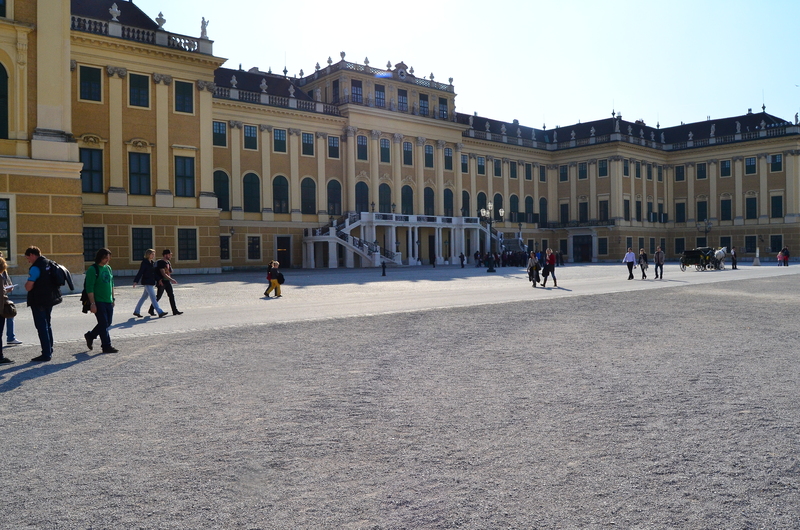 As we finally reached the top of the hill, we were welcomed by the glorious Gloriette, which housed a cafe that I would love to spend some time in one day. 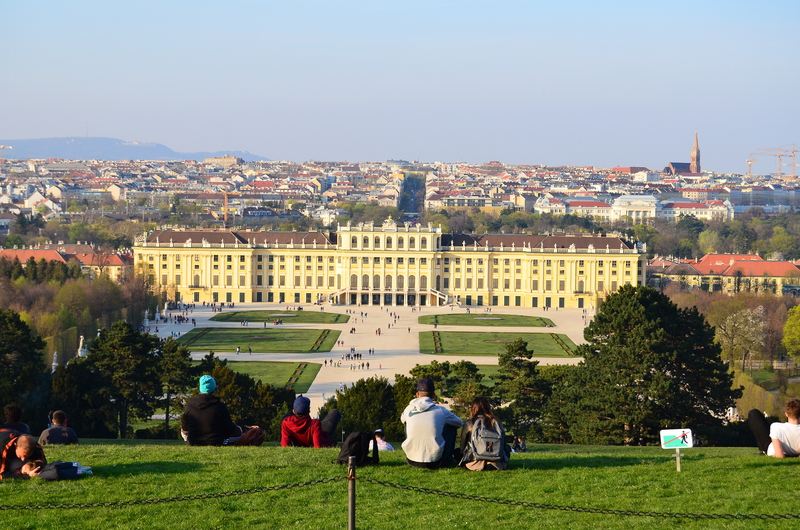 Though the Gloriette was a spectacular attraction in itself, it was the cityscape view from the top of the hill that became the highlight of our trip. 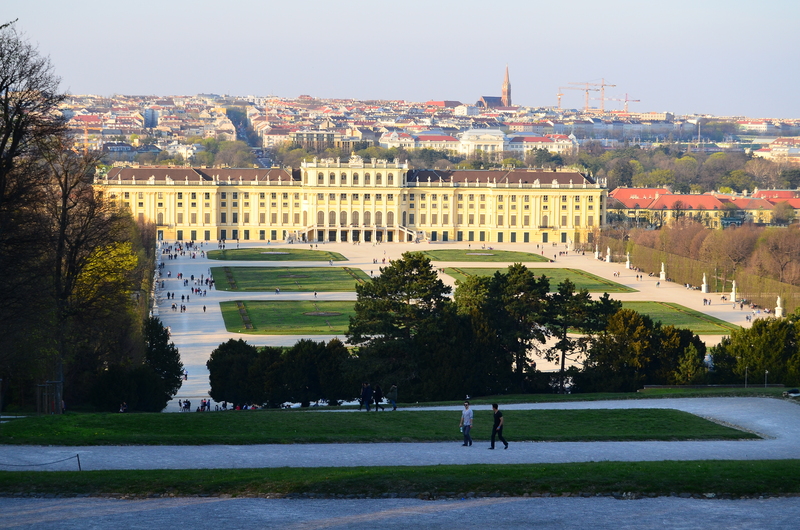 Unfortunately, we had to head back to where I was to meet my tour group later that night, and ended the wonderful visit just before sundown; though I would love spend sunset here one day. 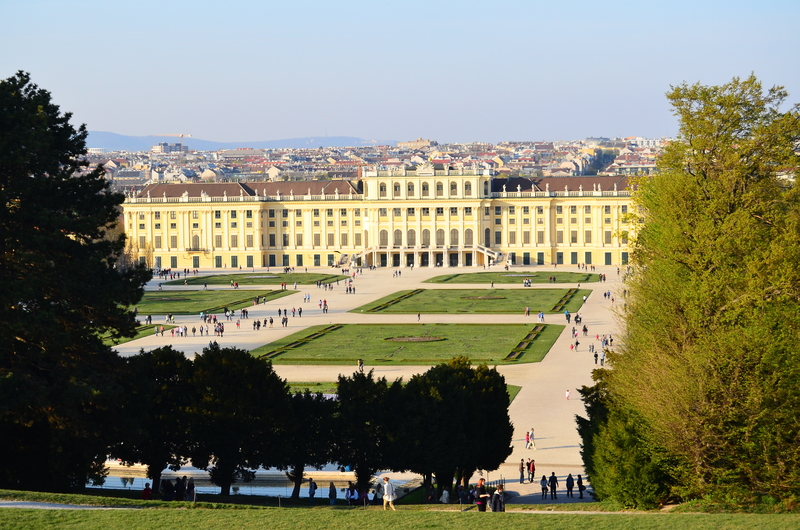 Exhibiting late Baroque architecture and housing a whopping 1,441 rooms, the Schönbrunn Palace and its breathtaking gardens should definitely never be missed.